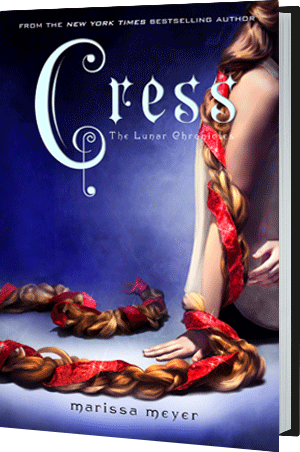 Cress by Marissa Meyer is already one of my favorite books of 2014. Thank you advance reader copy. Below is a link to an excerpt. Can’t wait until the NEXT books comes out in 2015. Doh! This entry was posted in Fantasy, Free Books, Science Fiction, Young Adult and tagged Captain Thorne, Cinder, Cress, Free book excerpt, Free Excerpt, Marissa Meyer, Queen Levana, Scarlet and Wolf, The Lunar Chronicles. Bookmark the permalink.